The Faculty of Medicine, Dentistry and Health Sciences congratulates Professor Cathy Humphreys on her induction to the Victorian Honour Roll of Women, 2016. This honour recognises her important contributions to ensuring the safety of women and children, within their families and in institutional care. Since 2006, as Alfred Felton Chair in the Department of Social Work at the University of Melbourne, Professor Humphreys has led a large body of research into child and family welfare, domestic violence and child abuse, stability and quality for out of home care, developments arising from Victorian legislation on children, youth and families, and the impact of research on policy and practice. Her highly collaborative research is conducted with Victorian community sector organisations, into the areas of out of home care, domestic violence and child abuse. This distinctive ‘externally facing’ nature of her work facilitates the direct translation of research findings into practice for those organisations. She sits on the Advisory Committee for the Minister for Family Violence and is co-chair of MAEVe, an interdisciplinary research alliance at the University of Melbourne in partnership with community, industry and government agencies to reduce harm and improve the safety and wellbeing of women, families and communities; increase account¬ability and improve responses to men; and prevent violence before it starts. 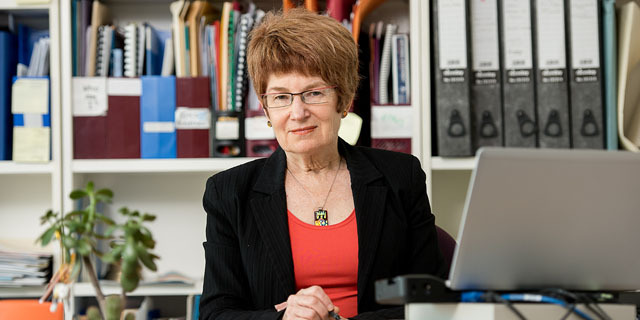 In addition to her wide body of applied research Professor Humphreys continues to develop successive generations of social workers through teaching managers and front line workers in Victorian Community Sector organisations and DHHS as well as supervision of PhD and Research Masters students. Professor Humphreys’ work exhibits the social worker’s ethos: to intercede wherever the circumstances of those whose lives are damaged by violence can be improved; to build a system that disrupts cycles of violence and disadvantage; and to advocate strongly and protect the rights of vulnerable people. Professor Humphreys has led a number of landmark projects that have impacted the lives and the futures of people whose childhoods were spent in institutional care. The end-to-end character of her research program establishes the applied value of each project as it begins and creates ready pathways for its translation into policy and practice. More than this, Professor Humphreys’ comprehensive program of research and her ongoing work providing advice to governments and the social welfare sector is creating an enduring legacy in four separate but connected areas. Firstly, she has created a legacy of academic knowledge – the essential base of evidence explaining the mechanisms and relationships that determine pathways to good or bad consequences for children and families. Secondly, she has made that knowledge accessible to social workers so they can reshape their practice according to its findings. Thirdly, she has engaged with policy makers to inform the creation of new policies based on the evidence of her research. Finally, her work has informed a growing public understanding of the insidious nature of violence and abuse within family relationships and institutional out of home care. Professor Humphreys works to break the self-perpetuating cycles of violence and abuse in families and in institutions by creating new cycles where research findings inform policy and practice, the experience of practitioners in turn informs research design, and new generations of practitioners are mentored into perpetuating the development of new knowledge, practice and policy. See recently published articles by or about Professor Humphreys on The Drum, The Guardian, Croakey and Pursuit.